Minna Unicycle Club was formed in 2015. 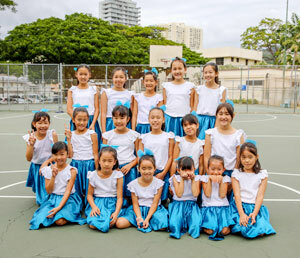 The members consist of girls between the ages of 6 to 12.This year will be our fourth time to participate at the Honolulu Festival. Like last year, we will be appearing with our unicycles in the parade. We will do our best so please support us. Minna Unicycle Club was formed in 2015. The members consist of girls between the ages of 7 to 10. This year will be our third time to participate at the Honolulu Festival. Like last year, we will be appearing with our unicycles in the parade. We will do our best so please support us. Minna Unicycle Club was formed in 2015. The members consist of girls between the ages of 7 to 10. This year will be our second time to participate at the Honolulu Festival. Like last year, we will be appearing with our unicycles in the parade. We will do our best so please support us. 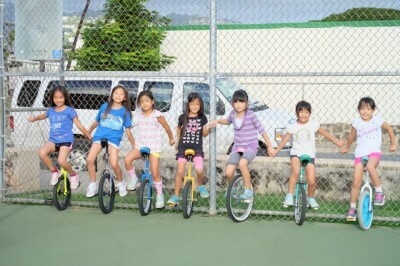 This inspiring all-girls unicycle club has been practicing together for only 8 months. The participants range in age from 6 to 9 years old. They practice together every Tuesday and Sunday. 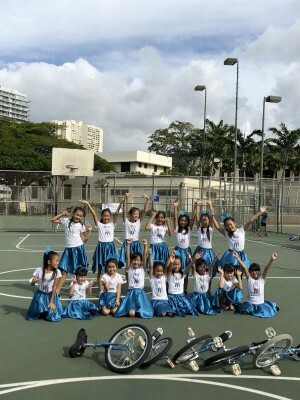 This Honolulu based group is always learning new tricks and having lots of fun together. This is their first performance at the Honolulu Festival. They are wheels happy to be here.